Khondrion: fully operational since 2012 and located in Nijmegen, The Netherlands, Khondrion primarily focuses on the development of innovative therapies for inherited mitochondrial diseases, including Leigh Disease, MELAS, Leber’s Hereditary Optic Neuropathy and other Respiratory Chain / Oxidative Phosphorylation disorders. The company's focus is on its own product development programmes. Khondrion has extensive experience in mitochondrial medicine, unique quantitative live-cell imaging technologies and in-depth characterised patients-derived cell panels. In this scope, the company developed a portfolio of pre-clinical drug candidates, among them the frontrunner KH176 is currently under clinical evaluation. Khondrion will also offer a possibility of short visits/secondments for the ESRs in order to conduct parts of their research or learn specific methodologies. A high-end course in advanced methodologies for analysis of mitochondrial function with the title “Drug Development for modulators of mitochondrial dysfunction” will be organized by Khondrion with a direct interest in mitochondrial pathophysiology. 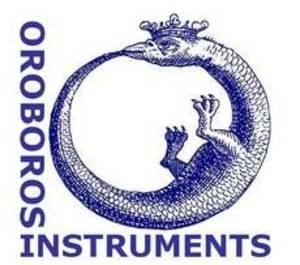 Oroboros: provides the worldwide leading concept and technology for highresolution respirometry applied to the functional diagnosis of mitochondrial defects by simultaneous monitoring metabolic parameters in small samples of biopsies, cultured cells and isolated mitochondria. Oroboros will also offer a possibility of short visits/secondments for the ESRs in order to conduct parts of their research or learn specific methodologies. A high-end course in advanced methodologies for analysis of mitochondrial function with the title “High-Resolution Respirometry (HRR) and O2k-Fluorometry” will be organized by Oroboros with a direct interest in mitochondrial pathophysiology. 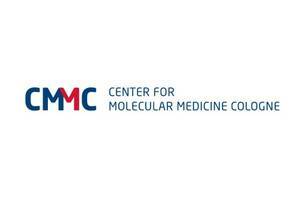 CMMC - Center for Molecular Medicine Cologne: CMMC is a joint enterprise of the Faculty of Medicine, and the Faculty of Mathematics and Natural Sciences at the University of Cologne. It offers its members a platform to exploit synergies in the exploration of molecular and cellular mechanisms of human diseases and access to funding in competitive funding programs. CMMC manages the scientific exchange but also takes responsibility for the project management of third-party funded projects in the Faculties. CMMC will offer two ESRs short stay visits (max 3 months each) to gather experiences in large network maintenance and funding program management. Students will organize seminars and support scientists in exchanges views and ideas. They will also be introduced in the controlling of third-party funded projects, organization of call for proposals and selection procedures. German EIT Health GmbH (EIT-Health): EIT-Health is a small sized company with 6 FTE located with office space in Heidelberg and Mannheim. It is the national hub of Europe's largest public-privatepartnership in the detection and validation of innovative academic research results and entrepreneurial capacity in the field of health and health care. More than 150 partners from big-pharma, nutritional and consumer care businesses, IT and med-tech companies, public higher education and research organization form a sustainable partnership under the umbrella of the European Institute for Innovation and Technology. EIT-Health will offer access to international entrepreneurship courses for young life scientists and will offer a one-day workshop on the transfer of results all along the value chain. Additionally two ESRs will be offered short stay visits (max 3 months each) in the Heidelberg offices to learn the business perspective on technology transfer. Science Craft: equips life scientists with the skills needed to launch a successful research career. By bridging the training gaps confronting researchers, Science Craft’s workshops enable life scientists to get their research funded, published and cited at the highest level. Our training also enables top-tier graduate schools to gain a distinct advantage in the competition to attract the best international students. All workshops are self-contained but complement each other thus providing researchers with the necessary toolkit required to write research articles and funding proposals as well as navigate the peer review process. The non-academic partners will have direct involvement with the trainees and are keen to train these individuals as well as to develop with them new techniques both as fundamental applications and diagnostic procedures. We believe that one of the most effective ways of training junior scientists is to expose them to a variety of research/scientific environments. REMIX is excellently suited to accommodate this, and therefore training of ESRs in another host institution will be obligatory. The lengths of these visits will vary according to training that will be received, but will be ~ 3 months in total. Each trainee will have at least one secondment, while multiple secondments will be recommended. The ESRs will obtain training program for each secondment that will be carefully planned in advance in consultation with their respective main supervisor and advisor from the host institution and will be part of their PCDP. Both research SMEs; Khondrion (Beneficiary) and Oroboros (Partner) will also offer a possibility of short visits/secondments for the ESRs in order to conduct parts of their research or learn specific methodologies. To increase exposure of ESRs to different kind of scientific environment, not directly involving bench-research activities, REMIX has partnered additional academic (CMMC) and governmental (BIO.NRW) organizations, an SMEs (EIT-Health) and charitable trust (SenseAboutScience) to provide secondments to REMIX ESRs in order to increase their career perspectives and employability (for details see 2.1). Currently, only secondments in research labs and lifescience SMEs are listed in the individual project proposals for each ESR. Further secondments (CMMC, BIO.NRW, EIT-Health and SenseAboutScience) will be planned within respective PCDP to fit individual preferences of each ESR and highly encouraged by EAC. At the end of secondment, a report will be submitted to the Training Steering Committee of the Network. ESRs secondments will also underpin collaboration between groups within the network and allow ESRs to apply the specific methodologies, technologies and resources available within the program to their own project. All hosts will recognize the research undertaken at the second host institute as forming part of the PhD studies. Students will have opportunities to learn skills not available at their main host institution; develop/improve new language skills; gain access to all local state of the art facilities and training. Most importantly it will ensure additional international experience and effective intersectorial and multidisciplinary training for all ESRs. In order to combat any integration problems, training committees will ensure that students arriving on secondments will receive induction to fully familiarise them with the new city, language, social and research environment. Students will be given local and home host contacts should they require further help.